The most commercially abused animals on the planet, other than chickens, are fish. Most don’t consider that fish are sensitive, sentient beings and recent studies clearly indicate what many have known for a long time; fish suffer. On an individual level, what would you think if someone caught a land animal with a baited hook, then reeled them in and drowned them? This is exactly what happens to fish.Anyone who has ever had a fish hook stuck in their flesh knows just how painful it is, and this is no different for fish. Pain and tissue damage are intensified when double or treble hooks are used, and when the hooks are pulled out, often roughly, while fish are still alive. Many fishermen would never consider hunting for sport, yet quite happily grab a rod and head for the waters. Fishing, quite simply, is hunting in water. Unfortunately, those who genuinely believe that ‘catch and release’ fishing is acceptable often cannot, or will not, believe that a hook in the mouth causes immense suffering. When you hook a fish, does it hurt? Yes, a new study suggests. Some researchers have previously concluded that fish react to painful stimuli without actually feeling pain in the conscious way humans do. “Experiments show that fish do not only respond to painful stimuli with reflexes, but change their behavior also after the event,” said Janicke Nordgreen, a doctoral student in the Norwegian School of Veterinary Science. “Together with what we know from experiments carried out by other groups, this indicates that the fish consciously perceive the test situation as painful and switch to behaviors indicative of having been through an aversive experience.” A study last month indicated that crabs feel pain too. Garner and Nordgreen published their results in the online version of the journal Applied Animal Behaviour Science. Garner figures the morphine blocked the experience of pain, but not behavioral responses to the heat stimulus itself, either because the responses were reflexive or because the morphine blocked the experience of pain, but not the experience of an unusual stimulus. Fish feel pain and stress like mammals, including humans. They also produce the same pain-blocking substances as humans called endorphins, which block pain by stopping the release of substance P. Fish have many nerve endings in the mouth, so hooking certainly causes terrible pain and, of course, gaff hooks used to haul them out of the water further increases this pain. The live fish used as bait in game fishing may have lines threaded through their eyes. In game fishing marlin or swordfish, for example, are ‘played’ on the line for hours on end which causes stress and exhaustion, as well as immense pain. With regard to pain or suffering, there is no difference between warm-blooded and cold-blooded animals. 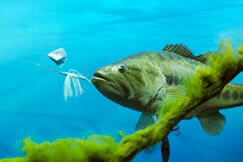 Fish suffer even if they are released after capture although many are left to suffocate to death on land. This is the same as drowning for a human, and must surely be a terrifying experience. “If you think back to when you have had a headache and taken a painkiller, the pain may go away, but you can still feel the presence or discomfort of the headache,” Garner said. In many areas, such as memory, the cognitive powers of fish match or exceed those of vertebrates, including non-human primates. They do have long term memories, which help them with complex social relationships. Their spatial memory allows them to be make their way through the water using cues such as polarized light, sounds, smells, and visual landmarks. A recent issue of Fish and Fisheries, cited over 500 research papers on fish intelligence, all proving that fish use tools, and that they have impressive long-term memories and sophisticated social structures and yes, are intelligent, some species more so than non-human primates. Fish have a layer of skin and mucous over the scales. This layer is very sensitive, and is essential for the health of the fish, for example, to keep out infection. Damaging a fish’s slime coat has been compared to third degree burns in humans, so even if released, the fish has suffered a hook in the mouth, the stress of being handled, the pain of the hook being removed, often not too gently and the damage to the mucous layer and subsequent burning pain, and of course, the inability to breathe while in air. Fishing, by all accounts causes more suffering than hunting land animals. Does this sound like a harmless pastime? Something to teach our children?